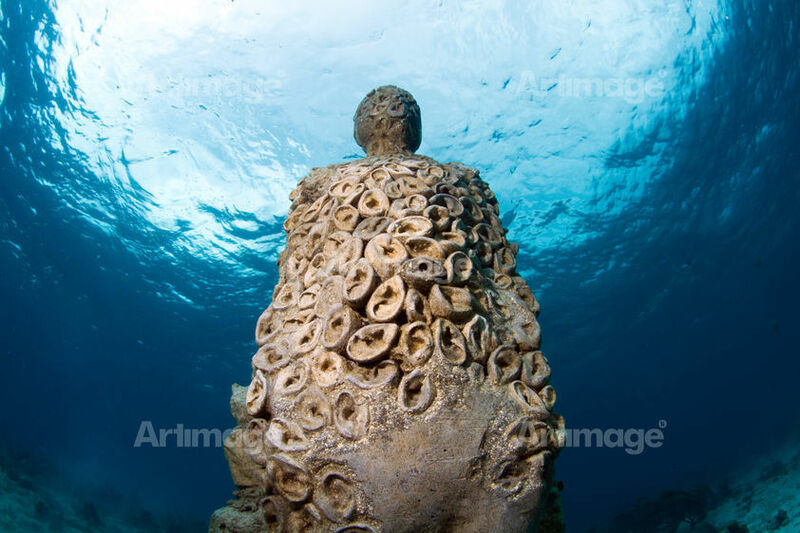 Jason deCaires Taylor grew up in Europe and Asia and studied sculpture at the London Institute of Arts. 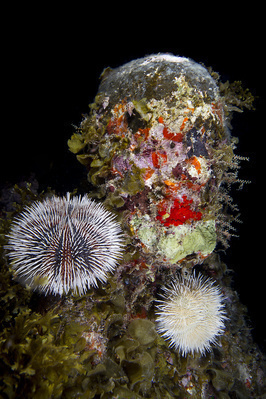 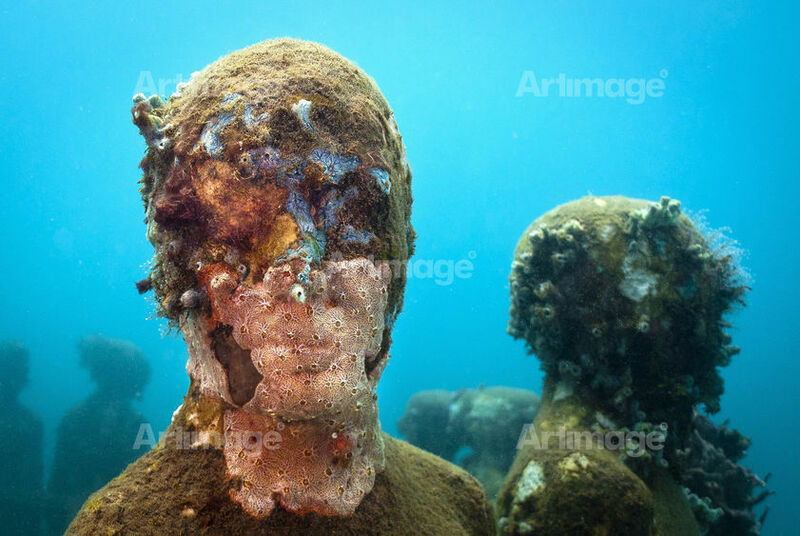 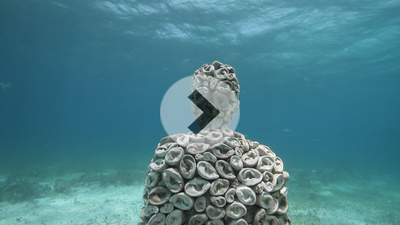 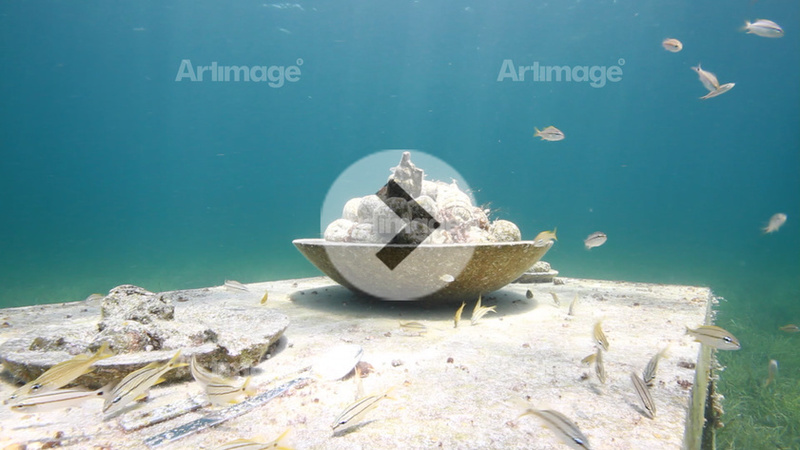 He is famed for his underwater installations which show a great affinity between the object and its environment. 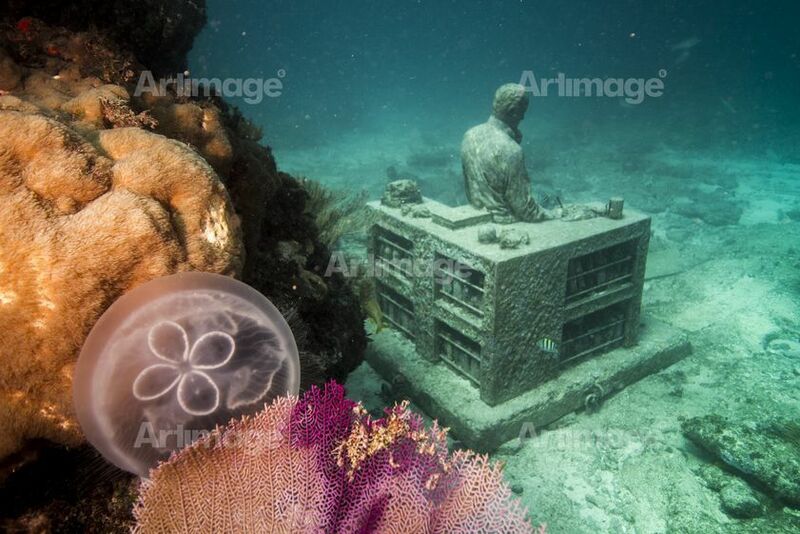 These pioneering public art projects are built to blend in with the ocean and be transformed into living coral reefs. In 2006, Taylor founded and created the world’s first underwater sculpture park in the Caribbean Sea and in 2009 founded Museo Subacuático del Arte (MUSA) in Cancun, Mexico. Taylor currently resides in Lanzarote, Spain building an underwater Atlantic Museum.